Certified. High Altitude 4 X 4 w/ Sunroof & Leather Heated Seats.Leather Trimmed Bucket Seats,Heated front seats, MP3 decoder, Power 6-Way Driver Seat, Power Express Open/Close Sunroof. granite crystal metallic clearcoat 2016 Jeep Patriot 4WD 6-Speed Automatic 2.4L I4 DOHC 16V Dual VVT Remote Start, Clean CarFax, CarFax One-Owner, 4WD, dark slate gray Leather, 17 x 6.5 Aluminum Wheels, Air Conditioning, Air Conditioning w/Auto Temperature Control, CD player, Fully automatic headlights, Recent Arrival! 20/26 City/Highway MPGFCA US Certified Pre-Owned Details: * Roadside Assistance * 125 Point Inspection * Includes First Day Rental, Car Rental Allowance, and Trip Interruption Benefits * Limited Warranty: 3 Month/3,000 Mile (whichever comes first) after new car warranty expires or from certified purchase date * Warranty Deductible: $100 * Transferable Warranty * Vehicle History * Powertrain Limited Warranty: 84 Month/100,000 Mile (whichever comes first) from original in-service dateThis vehicle comes with SouthtownCare, a Southtown Exclusive. SouthtownCare consists of complimentary flat tire repair and SouthtownClean, a free car wash with every service visit. 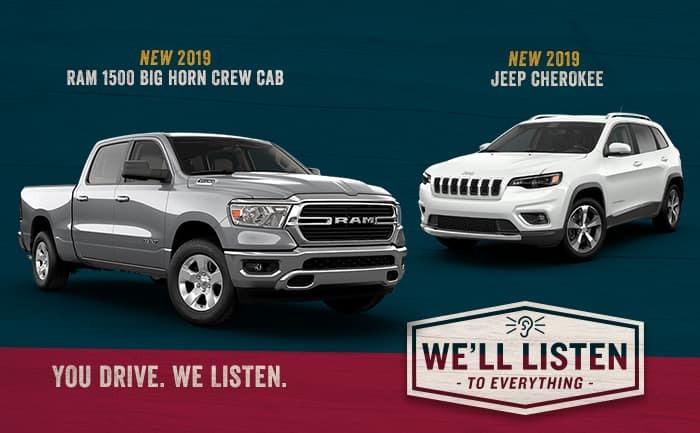 SXT w/ Dual Power Sliding Doors & Power Liftgate FWD 6-Speed Automatic 3.6L V6 24V VVT Remote Start, Clean CarFax, CarFax One-Owner, Dual Power Sliding Doors, Bluetooth Streaming Audio, CD player, Front dual zone A/C, ParkView Rear Back-Up Camera, Power 8-Way Driver Seat, Power Liftgate, Rear air conditioning, Security Group, Uconnect Hands-Free Group.Certified. Octane Red Pearlcoat 2018 Dodge Grand Caravan SXT Recent Arrival!FCA US Certified Pre-Owned Details: * Limited Warranty: 3 Month/3,000 Mile (whichever comes first) after new car warranty expires or from certified purchase date * Transferable Warranty * Roadside Assistance * Includes First Day Rental, Car Rental Allowance, and Trip Interruption Benefits * Warranty Deductible: $100 * Powertrain Limited Warranty: 84 Month/100,000 Mile (whichever comes first) from original in-service date * Vehicle History * 125 Point InspectionAwards: * JD Power Initial Quality Study (IQS)This vehicle comes with SouthtownCare, a Southtown Exclusive. SouthtownCare consists of complimentary flat tire repair and SouthtownClean, a free car wash with every service visit. Certified. White Knuckle Clearcoat 2018 Dodge Grand Caravan SXT w/ Dual Power Sliding Doors & Power Liftgate FWD 6-Speed Automatic 3.6L V6 24V VVT Remote Start, Clean CarFax, CarFax One-Owner, 6.5 Touchscreen Display, Bluetooth Streaming Audio, CD player, Front dual zone A/C, ParkView Rear Back-Up Camera, Power 8-Way Driver Seat, Power Liftgate, Rear air conditioning, Uconnect Hands-Free Group.Recent Arrival!FCA US Certified Pre-Owned Details: * Roadside Assistance * Warranty Deductible: $100 * 125 Point Inspection * Includes First Day Rental, Car Rental Allowance, and Trip Interruption Benefits * Vehicle History * Limited Warranty: 3 Month/3,000 Mile (whichever comes first) after new car warranty expires or from certified purchase date * Transferable Warranty * Powertrain Limited Warranty: 84 Month/100,000 Mile (whichever comes first) from original in-service dateAwards: * JD Power Initial Quality Study (IQS)This vehicle comes with SouthtownCare, a Southtown Exclusive. SouthtownCare consists of complimentary flat tire repair and SouthtownClean, a free car wash with every service visit. Silver Metallic 2016 MINI Cooper S w/ Panoramic Moonroof & Leather Heated Seats FWD 6-Speed Automatic 2.0L 16V TwinPower Turbo ABS brakes, Electronic Stability Control, Front dual zone A/C, Heated door mirrors, Heated Front Seats, Illuminated entry, Low tire pressure warning, Remote keyless entry, SensaTec Leatherette Upholstery, Traction control.Recent Arrival! 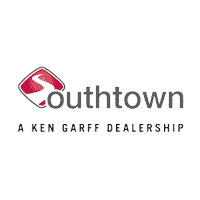 23/33 City/Highway MPGAwards: * ALG Residual Value AwardsThis vehicle comes with SouthtownCare, a Southtown Exclusive. SouthtownCare consists of complimentary flat tire repair and SouthtownClean, a free car wash with every service visit.